I got a call yesterday from one of our favorite veterinarians in the area with some questions regarding our Seresto collar policies. I thought it might be a good idea to write another quick post to clear up some confusion surrounding our policy here at K9 Kaos. First and foremost we were losing them. These collars are not marked in any way. We had mistakenly sent collars home with the wrong dog or had misplaced them. On some days we manage 175+ collars a day throughout all of our services, so you can understand the volume. These collars are expensive and we naturally had to replace them. We were replacing these $50 collars once or twice a week. This was becoming a large expense for K9 Kaos. Since there were so many of these collars coming through the door, my staff were handling dozens and dozens of these collars multiple times a day. They were uncomfortable with this kind of exposure and I agree. As a single dog owner you handle one collar. I thought it best to not over expose the staff to the large number of collars that were coming in. Daycare dogs play with there mouths all day long. We are a collar free daycare for this reason. Dogs do not have their collars on during daycare play. Seresto collars would get damaged, wet, chewed, mouthed, bent…. you name it. We would be handing these collars back to owners in pieces every single day. Not a good plan for us or for you, the person that purchased that very expensive collar. Boarding dogs also stay without collars. I will be honest, this is my own worry. I have been a dog owner for 20+ years and K9 Kaos has been open for almost 12. I have seen the CRAZIEST things happen with dogs. Seriously. Our kennels are safe and free from anything that could possibly hurt a dog. But I still worry. So just to be on the safe side, we remove everything. I would never want for a dog to get his collar stuck on anything and get hurt. Plus if you have more than one dog and you like them boarded together, then all bets are off. All of the daycare reasons above apply. Grooming dogs naturally don’t wear their collars as they are bathed and groomed. So with all of that being said. 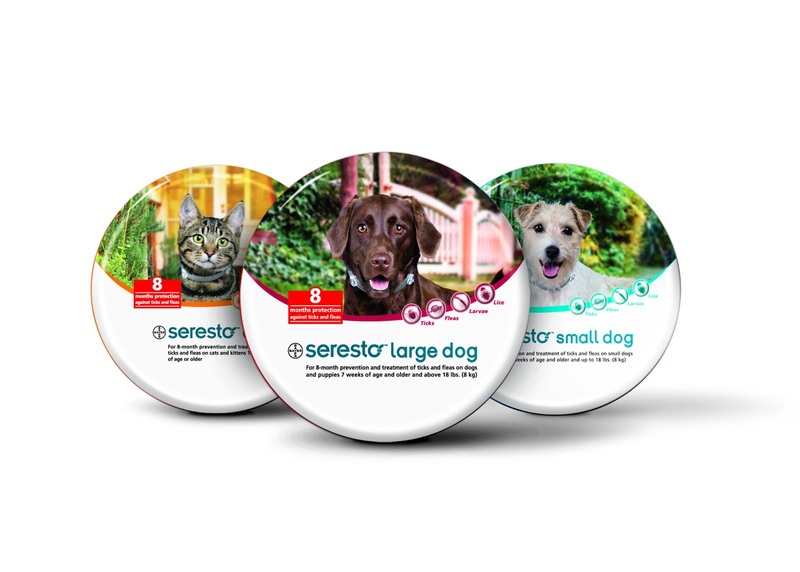 Your dog can most certainly be protected from fleas & ticks by using the Seresto collar all of the time, except while they are in our care. All we ask is that you take it off in your car in the morning and put it back on when you pick them up at night or at the end of their stay. I was told yesterday that customers might think that we don’t allow the use of these collars at all, even at your home. That is the misunderstanding. We sell the Seresto brand collars at K9 Kaos and we appreciate their effectiveness very much. It is definitely an option for all dogs to use all of the time outside of K9 Kaos. We all thank you very much for your understanding with our reasoning and decision not to handle them here. If you have any questions at all, please feel free to email me directly at anne (at) k9kaos (dot) com.